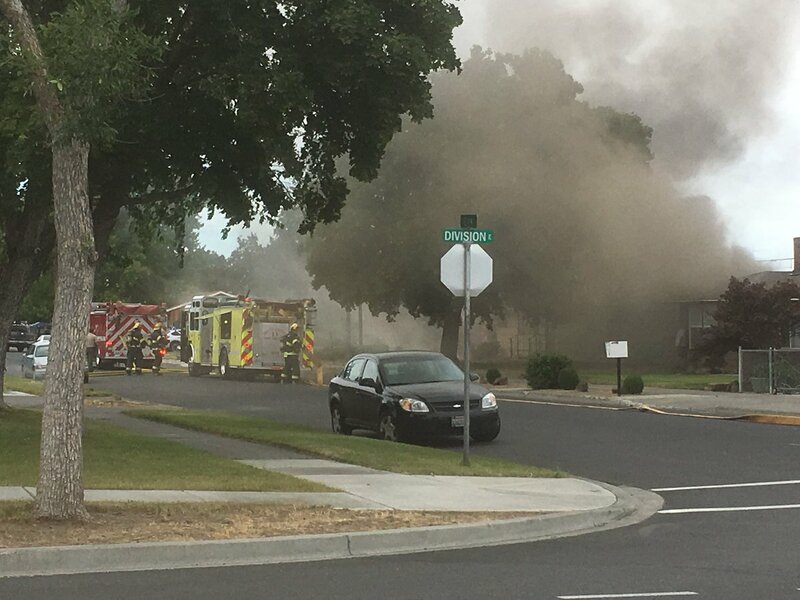 EPHRATA, Wash. – A fire erupted inside an Ephrata residential structure, sending heavy billowing dark smoke outside and observed by many. The fire broke out on July 4, 2018, on Wednesday from an unknown cause. The house fire is located in the 100 block of L Street NE where firefighters from Ephrata and the Grant County Fire District 13 responded. Firefighters quickly began engaging the fire. Both Ephrata Police Department and the Grant County Sheriff Office were also on-scene of the fire. Fire crews are currently battling this fire and limited details are available. No injuries to casualties or firefighters have been reported at this time. No preliminary cause of the is known at this time. There is no Grant County Public Safety feed due to being offline. We will provide an update if anything changes. – Ed.